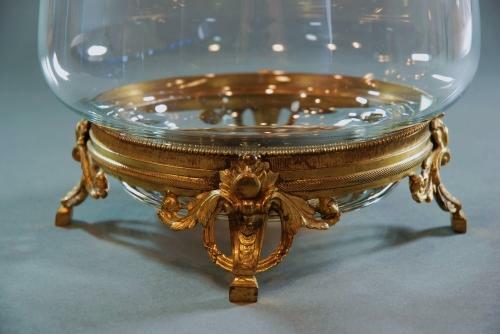 An early 20thc highly decorative plain glass bowl on an ormolu stand. The circular ormolu stand has four supports with swag & foliage decoration. This bowl is a decorative piece for any home & can be displayed either on its own or as in photo 5 with flowers or anything of your choice. The glass has no damage.